Students and faculty share their experiences from the Caminos al Futuro program. Caminos al Futuro is a fully-funded, selective pre-college and residential summer program for rising seniors in U.S. high schools offered by the Cisneros Hispanic Leadership Institute at the George Washington University, in Washington D.C.
During the 3-week intensive program, Caminos scholars examine the social, economic, and political transformations affecting the Hispanic/Latino community. Through lectures by university professors and expert leaders in their fields, scholars not only learn about pressing contemporary issues but also create their own project to bring change in their own communities. Typical candidates have a record of outstanding academic ability and a demonstrated commitment to service and leadership within the Hispanic/Latino community. 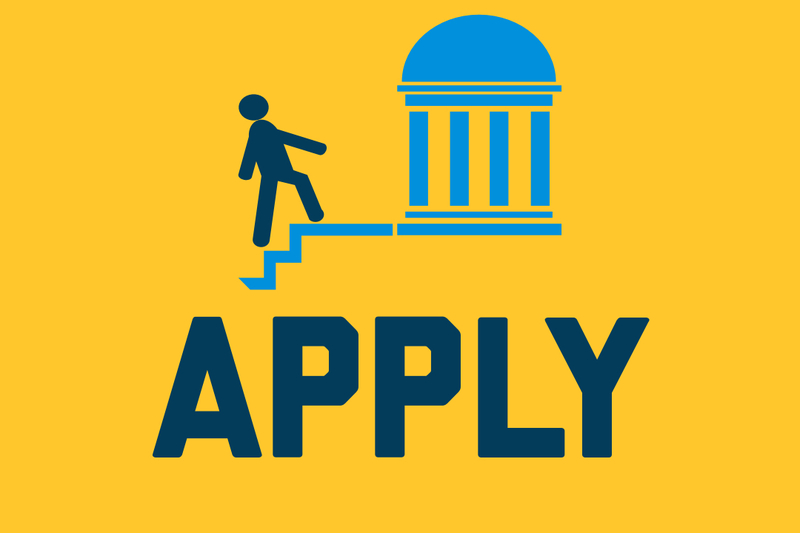 To be considered for this program, your application must be submitted by March 1. No late applications will be accepted. During the Academic Lecture Series, led by Dr. Elizabeth Vaquera, scholars learn about the political and social transformations affecting Latino communities nationwide by engaging in interactive lectures, discussion of academic readings, and conducting research. This is an undergraduate level course in which all the Caminos Scholars are expected to engage and analyze data about Latinos in the U.S. and in their own communities. Trey Johnston leads the Changing the Narrative Writing Lab (CTN). Focused on the art of writing to get into and to succeed in college, these workshops also guide the scholars through the process of creating and presenting awareness initiatives (Community Action Projects or CAP) on a current issue centered in their chosen Latino community, which is presented at the end of the three weeks. These writing workshops also incorporate discussion in regards to identity as well as how linguistics shapes modern-day interaction. George Washington’s University Admissions Specialists offer a series of workshops where scholars learn about what college and universities look for in college applications. Caminos Scholars also participate in training focused on the development of their leadership potential. Topics covered in previous years include Networking, Storytelling, Self-Care in College and Imposter Syndrome. Students will have opportunities to practice their leadership skills through meetings with Hispanic leaders at nonprofit organizations, as well as in the public and private sectors. Summer in the nation’s capital is a one-of-a-kind experience. Caminos Scholars get to enjoy social events, trips, and activities during the evenings and weekends. Students have the opportunity to visit area sites such as the National Zoo, Smithsonian Institutions, the John F. Kennedy Center for Performing Arts, historic neighborhoods such as Georgetown and U Street, baseball games at Nationals Park and more. Students who successfully complete Caminos al Futuro and are admitted to GW will receive consideration as Cisneros Scholars. See the Pre-College Apply page for application instructions. In the Program Information section of the application, you must first select the "3-Week College Intensive" option, then choose "Caminos Al Futuro" from the options under course choices. The $50 fee will be waived for all Caminos al Futuro applicants. The program application is open to students who currently reside in the U.S., including, but not limited to, U.S. citizens. Students who are here on a sponsored visa are ineligible. Students currently enrolled in their junior year (rising seniors) are eligible to apply. Admission to the program is competitive and space is limited. Applicants will be evaluated on the basis of their academic performance and record of service and leadership within Hispanic or Latinx communities. Caminos al Futuro is fully funded. All fees, transportation to and from Washington DC, room and board, materials, and program-related activities are covered. Academic transcript from the start of high school through Fall 2018. To streamline your application, please upload your academic transcript directly to the application before submitting. For questions about the application process, contact Summer & Non-Degree Programs. For all other questions, contact [email protected].